The Thanksgiving weekend tradition continues! 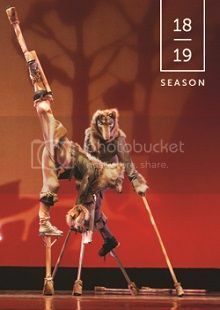 Wise Fool New Mexico’s acrobats, aerialists, dancers, and musicians never fail to delight with daring yet graceful feats of wonder, visual splendor, and poignant humor. It’s a home-grown circus extravaganza for all ages! Be prepared for the magical as Wise Fool New Mexico presents the 15th annual Circus Luminous: Clown Alchemy, a celebration of the power of laughter and love to heal, transform, and bring us together this holiday season. As always, Circus Luminous is packed with homegrown aerialists, acrobats, dancers and a hilarious crew of red-nosed clowns. With an array of amazing acts and original music, this all-new production will astound you and remind us all that laughter truly is the best medicine. Tickets go on sale to Lensic Members ($100+ Level and above) immediately following the season announcement on Thursday, June 7. Not a member? Join Today! Nonmembers can purchase subscriptions beginning Friday, June 29 by phone: 505-988-1234 and in-person. Nonmembers can purchase single event tickets beginning Friday, July 13.